The UK soul star is set to play Under The Bridge in Chelsea on Saturday 17 November. 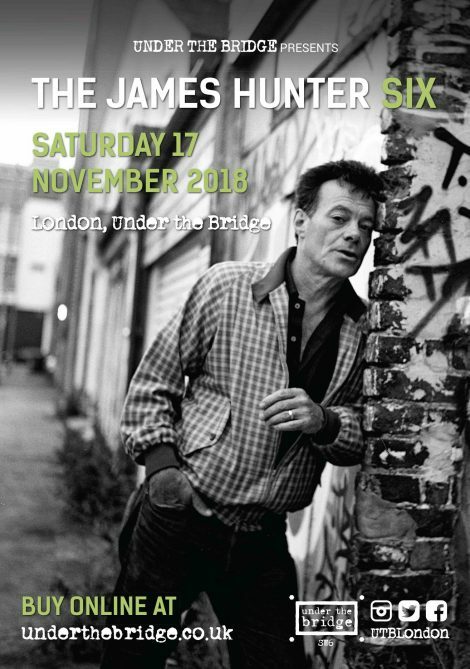 Following the release of his Daptone Records debut release Whatever It Takes, British soul star James Hunter is set to play a rare one-off date at Under The Bridge in Chelsea this weekend. The singer will be appearing with his outstanding band, The James Hunter Six. Together, the band have been together decades – the “newest” member of the group joined James nearly 20 years ago. The group is Jonathan Lee (drums), Lee Badau (baritone saxophone), Damian Hand (tenor saxophone), Andrew Kingslow (keyboards/percussion) and Jason Wilson (bass). The James Hunter Six are playing London this weekend. The band are set to play material from their impressive new release, as well as revisiting some of their older favourites. We saw the band support the legendary Mavis Staples last year at Union Chapel, and they were seriously impressive. If you’re looking for something to do this weekend, this is it.